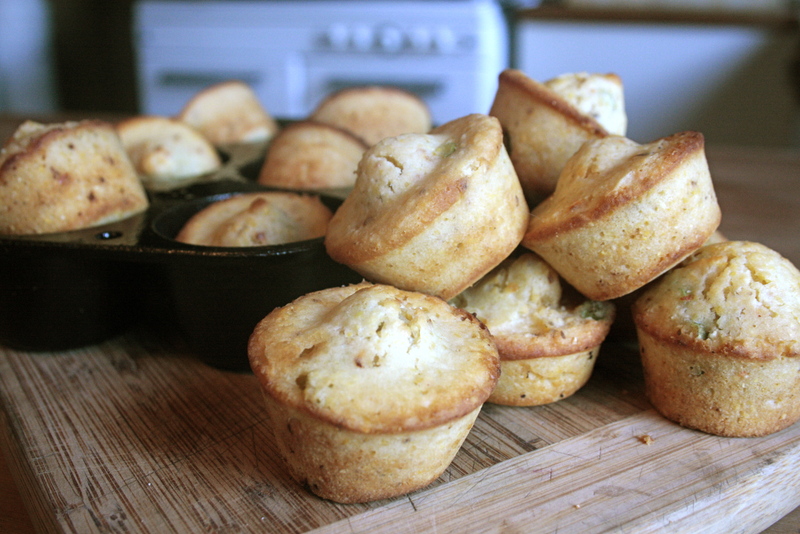 finally AMAZING corn bread muffins | eating with S.O.L.E. Mix well and let sit while you grease the cast iron up. I used my favourite cast iron mini deep muffin tin and greased each little cup with bacon drippings, ’cause like my grandmother used to do I always save the bacon grease (we only use locally raised happy smoked pigs and so the smokey flavour is a huge element in the few dishes I drag the drudge jar out for!) To do this effectively warm your oven to baking temp (which for this recipe s 400) get your cast iron pan nice and hot and then add a tiny pad of dripping to each cup, and with a pasty brush wipe the sides down with the melting fat. I use this same technique when making skillet bread too. As I was making these today I was thinking that coconut oil would be really nice as an veggie option, and I think I will try it, now that I have found a really get recipe to work with! This would be nice with some sharp cheese added it, or fresh jalapenos in the fall. Love this recipe! I’ve been searching for a great cornbread recipe for ages too. Can’t wait to try this! Oh I hope you LOVE it. I used a really course cornmeal which I think adds such nice texture… especially when you get the soft risen pillowy muffins I have been dreaming about! FINALLY! Let me know what you think when you try this out.